In the early 14th century, with the acquisition of Rhodes and other islands of the archipelago, the Order of St. John took on the features of a State. Governed by the Grand Master and by the Council, the Order minted its own money and maintained diplomatic relations with other States. New knights came to Rhodes from all over Europe and it was natural for them to associate with those who spoke their language and shared their traditions. The Order’s Chapter General, meeting in Montpellier in 1319, resolved to group the hospitallers according to homogenous language systems, the so-called “Langues” or Tongues. Each of these included Priories or Grand Priories, Bailiwicks and Commanderies. The Langues do not follow the pattern of national states but rather the national-linguistic identities of western Europe. There were some exceptions to this since the Poles and Slavs came under the Langue of Germany, albeit not speaking German. There were initially seven Langues: Provence, Auvergne, France, Italy, Aragon (Navarre), England (with Scotland and Ireland) and Germany. In 1462 Castille and Portugal split off from the Langue of Aragon and constituted the eighth Langue. Each Langue had its own head, or Pilier, who later on took one of the Order’s high offices. Each Langue, first on Rhodes and then on Malta, possessed an “auberge” or inn, used for accommodation, for meetings and for the meals that – at least in the beginning – had to be communal. This internal reorganization of the Knights of Saint John was more or less complete by the mid 15th century and it continued unaltered up to the end of the 19th century. The loss of the island of Malta (1798) brought about the end of the ancient division into Langues. The Order began to reorganize itself and the national associations came into being after the Grand Magistry was established in Rome in 1834. The Germans were the first to found an association in 1859, followed by the British in 1875 and the Italians in 1877. 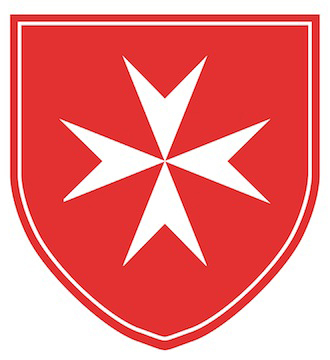 The Order of Malta’s members are now grouped into 6 Grand Priories and 48 National Associations in the five continents, heirs to the tradition of the ancient Langues.